Dr. Torres has 15 years of medical experience in the Obstetrics and Gynecology field. 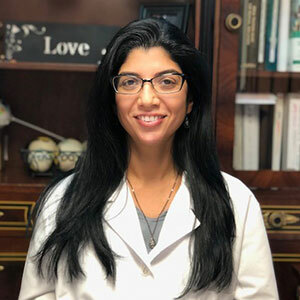 She is a member of the American Medical Association and of the American College of Obstetrics and Gynecology, and was a contributing author of the "Pearls of Wisdom: Obstetrics and Gynecology Board Review". She is also fluent in Spanish and English. Dr. Torres has volunteered her time/clinical experience throughout her career. In her spare time, she enjoys outdoor activities, such as biking and going to the beach, dancing, reading, and yoga. She welcomes any opportunity to enjoy the Arts and to experience different cultures through travel.